Allium Sativum (Softneck) - Large purple bulbs with very wide leafy growth. Fresh, zingy flavours perfect in a salad. 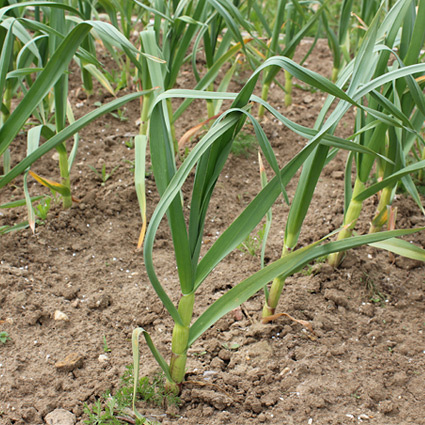 The first taste of new season garlic, en primeur.